Our product range includes a wide range of butter mix seasoning, cookie premix, irish cream premix, mashed potato mix and instant cold custard premix. To fulfill the diverse requirements of our valuable clients, we are involved in offering a vast range of Butter Mix Seasoning. This product is made under the direction of experts using salt, lactose, anti caking agent (E 551). 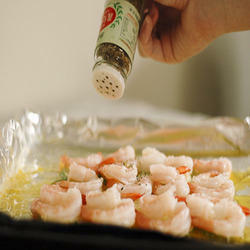 Butter Mix Seasoning offers a typical taste characteristic of Butter. Owing to its superb taste and purity, this product is widely cherished by our clients. Clients can avail this product from us different packaging options at the most nominal price. Applications & Recommended Usage: Add 4 gms. premix to 100 gms. margarine mix well. Shelf Life: 9 months when stored as recommended in its original packaging. We feel proud to introduce ourselves as the foremost manufacturer, exporter, wholesaler and supplier of excellent quality Cookie Premix. Offered product is processed using excellent quality ingredients like wheat flour, sugar, skimmed milk powder, emulsifier (E 471), raising agent [E 500 (ii)], salt in compliance with food industry standards. To maintain high level of purity, these products are offered in hygienic packaging. Shelf Life: 2 months when stored as recommended in its original packaging. 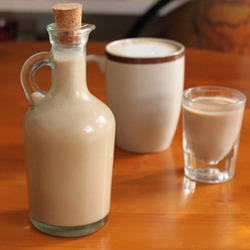 Description: Irish Cream Premix Offers A Typical Taste Characteristic Of Irish Cream & Milk Notes In The Background. (a Few Softlumps Are Permissible). 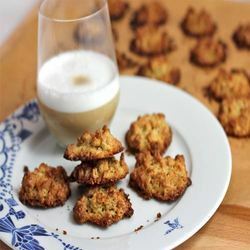 Ingredients: Sugar, Instant Coffee (with Chicory 70:30), Cream Powder. Contains Added Flavours: Natural, Nature Identical And Artificial Flavouring Substances. Applications & Recommended Usage: Add 25 Gms. To 200 Gms. Of Whipped Cream/Milk. Backed by a team of professionals, we are offering our clients Mashed Potato Mix. Offered product is widely appreciated by our customers, which are situated all round the nation. 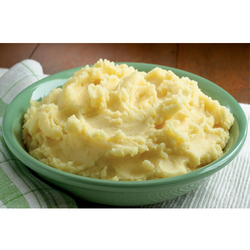 Mashed Potato Mix offers a typical taste characteristic of a Mashed Potato with a savory note in the background. This product is made from the potato flakes, vegetable fat powder, salt, sugar, oregano, hydrolysed vegetable protein. Applications & Recommended Usage: Add 10 gms. for 30-35 ml. of boiling water. 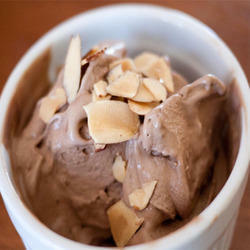 We are instrumental in providing our clients with quality assured Instant Cold Custard Premix. Our processing unit has the state-of-the-art facilities and uses most prevailing technology to process our premix . The ingredients use in making this product is Dextrose, Sugar, Edible Starch, Milk Solids, Stabilizer (E 412, E 407), anti Caking Agent (E 551). Extremely used in homes, offices, hotels and restaurants, this premix is cherished for its excellent taste. Looking for Delicious Premixes ?